California Rehabilitation Center (CRC) is a state prison located in Norco, Riverside County, California. There are about 3400 male inmates at CRC. It is designated a rehabilitation prison, but due to the overcrowding of Prisons in California, many are not there for rehabilitation. Narcotic commitments get an N number. Other inmates are assigned a commitment number based on whatever alphabet the system was on when the individual was committed. Those with N numbers do a rehabilitation program of usually approximately 9 months. The prison is sometimes referenced as "Norco" or "Norco Prison". CRC has 98 acres (40 ha) and is located next to the Naval Surface Warfare Center Corona Division. As of Fiscal Year 2006/2007, CRC had a total of 1,169 staff and an annual operating budget of $118 million. As of September 2007, it had a design capacity of 2,314 but a total institution population of 4,271, for an occupancy rate of 184.6 percent. It has Level II ("Open dormitories with secure perimeter fences and armed coverage") housing. The best-known of CRC's programs are the "six structured Substance Abuse Programs." CRC "offers the world's largest in-custody substance abuse program and is the only institution in the state to offer recovered inmates the chance to erase their felony convictions." It is the "only [California] prison to house felons along with low-level, drug-addicted inmates." The drug treatment programs are thought to be associated with lower recidivism rates. However, in February 2007 the California Office of the Inspector General concluded "Numerous studies show that despite an annual cost of $36 million, the Department of Corrections and Rehabilitation’s in-prison substance abuse treatment programs have little or no impact on recidivism." However, the report specifically mentioned the "Quest male civil addict program" at CRC, for which "12-month recidivism rates... were lower for non-participants than for participants." The efficacy of in-prison substance abuse treatment is based on voluntary participation, segregation from the general population and participation in aftercare. When these three aspects were in place at another California prison, three year recidivism was dropped from 75% to 27%. The center runs an actors studio called the Actors' Gang program. The studio participates in Commedia dell'arte, overseen by Tim Robbins and Sabra Williams. On the site where CRC now stands, the 700-acre (280 ha) Lake Norconian Resort opened in 1929 as "the opulent playground of some of Hollywood's biggest names." The Norconian hotel closed in 1940, then served as a Navy hospital between 1941 and 1957. "The old Norconian and several of the newer outlying buildings were turned over to the state" to create CRC, and the first inmates arrived in January 1963; however, in 2002 "CRC vacated the building after learning it had to be seismically retrofitted." Efforts are underway to preserve the hotel. As of 2006, although CRC was considered "one of California's best prisons," it was overcrowded, was "under nearly constant lockdown to prevent fights," had buildings "so antiquated that the electricity is shut off during rainstorms so the prisoners aren't electrocuted," had a "three-month-long waiting list" for its drug rehabilitation program, and was "short 75 guards." In March 2007 Governor Arnold Schwarzenegger visited the prison, citing its "huge overcrowding problem" in a speech on his "prison and county jail-building program." Although CRC had been "the only California prison to house both men and women," in April 2007 the women's wing of CRC was closed "to make room for more men" and because "the aging facility did not have the space needed to properly care for female inmates." About 800 female CRC inmates were moved to California Institution for Women, Central California Women's Facility, and Valley State Prison for Women. Archie Bryant - Currently serving a 16 year sentence for his part in the conspiracy to commit murder case of Sunny Han. Sunny's sister Jeena Han is currently serving 26 years to life for orchestrating the plot. She is currently serving her sentence at the Central California Women's Facility. Dr. Thomas Gionis- Sentenced to five years in prison for masterminding an attack on his ex-wife Aissa Wayne, daughter of actor John Wayne, and Roger Luby. ^ Vitucci, Claire. Norco prison escapee sought in kidnapping. Press-Enterprise (Riverside, CA), March 24, 2000. ^ a b State of California, Office of Governor Arnold Schwarzenegger. Gov. Schwarzenegger Tours Overcrowded State Prison in Norco. 06 Mar 2007. ^ a b c California Rehabilitation Center (CRC) (2009). "Mission Statement". California Department of Corrections and Rehabilitation. Retrieved 2009-08-20. ^ a b Bennett, Andrea. Norconian Club faces rotting death. Lake Resort set to collapse without community support. Inland Valley Daily Bulletin, 6 Aug 2006. ^ a b Austin, Paige. Women to be removed from coed prison. Press-Enterprise (Riverside, CA), February 26, 2007. ^ Naval Surface Warfare Center Corona Division. Base Facilities. Accessed 10 Dec 2007. ^ California Department of Corrections and Rehabilitation. Monthly Report of Population as of Midnight September 30, 2007. ^ California Department of Corrections and Rehabilitation. California's Correctional Facilities. Archived 2007-12-14 at the Wayback Machine 15 Oct 2007. ^ a b Frith, Stefanie. Norco prison may close by 2005. Press-Enterprise (Riverside, CA), November 5, 2003. ^ a b Austin, Paige. State's Crowded Prisons: Schwarzenegger Tours Norco Lockup. Press-Enterprise (Riverside, CA), March 7, 2007. ^ a b Office of the Inspector General, State of California. 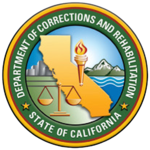 Special Review Into In-Prison Substance Abuse Programs Managed by the California Department of Corrections and Rehabilitation. February 2007. ^ Special Review Into In-Prison Substance Abuse Programs Managed by the California Department of Corrections and Rehabilitation. ^ Lee, Chris (2010-09-18). "Theater behind bars helps prisoners know themselves better". Los Angeles Times. Retrieved 21 September 2010. ^ a b c d Rasmussen, Cecilia. Fans seek to preserve Riverside County's Norconian Resort. Los Angeles Times, October 14, 2007. ^ First Dope Addicts to Arrive at Norco. Los Angeles Times, January 6, 1963. ^ Pomfret, John. California's Crisis In Prison Systems A Threat to Public. Longer Sentences and Less Emphasis On Rehabilitation Create Problems. Washington Post, June 11, 2006. ^ a b Alhajal, Khalil, and Dan Lee. Remodel: Facility Will Hold 700 Male Prisoners. Norco prison relocates all female inmates. State hopes transfer will ease crowding. Press-Enterprise (Riverside, CA), June 30, 2007. ^ Schultz, E.J. Female inmates: Jammed behind bars? Chowchilla lockups are at more than double their capacity, provoking health concerns. Archived 2007-05-28 at Archive.today The Sacramento Bee, July 9, 2007. This page was last edited on 2 January 2019, at 07:49 (UTC).